Robert Greenwald and Cenk Uygur discuss the U.S.'s Drone policy and its repercussions as well as Robert's recent trip to Pakistan and his findings. Robert Greenwald and Ed Shultz discuss the U.S.'s use of Drones in Pakistan and Robert's findings from his recent trip to Pakistan. They discuss the repercussions of the use of drones in Pakistan, including the imminent threat to our national security that is created. In the wake of Mitt Romney's griping that 47% of the country is mooching off rich folks like him, Charles and David Koch are now suggesting that they, too, are victims. The billionaire Koch brothers and their aptly-named political strategist Rich Fink spoke publicly about the family's agenda in the Kansas City Star this weekend. They insist that they're the ones under attack in America. Sure, the Kochs have $62 billion and seven homes. And yes, their combined wealth has just about doubled under Obama. And there are now reports ofintimidation at Koch Industries for employees who dare speak out against the brothers' politics. No matter: the world is lined up against these unfortunate souls. The corruption and machinations detailed in my film Koch Brothers Exposed are, apparently, child's play compared to the nerve-wracking obstacles these guys face. 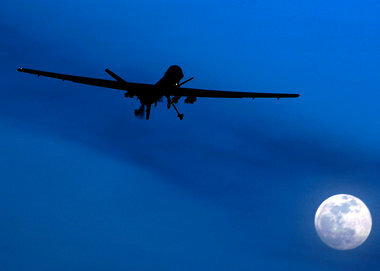 NY Times Opinion Page: Do Drone Attacks Do More Harm than Good? A new study found that because of the many unintended civilian casualties, U.S. drone attacks against terrorist targets in Pakistan have been an effective recruiting tool for extremists, but have not been effective in killing terrorist leaders. For the U.S., is the damage the attacks in Pakistan and Yemen have caused Al Qaeda worth the cost? Global Research TV: Living Under Drones: The Brutal Reality of "Targeted Killing"